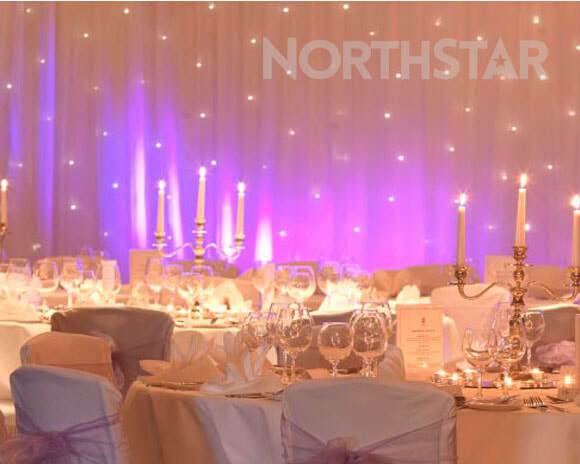 We have a great range of sound and lighting solutions that will add colour, ambience and excitement to your wedding. ​Here are some of our most popular products and packages. We will be happy to discuss your requirements and put together a package tailored specifically for your big day. Please contact us for help and advice. 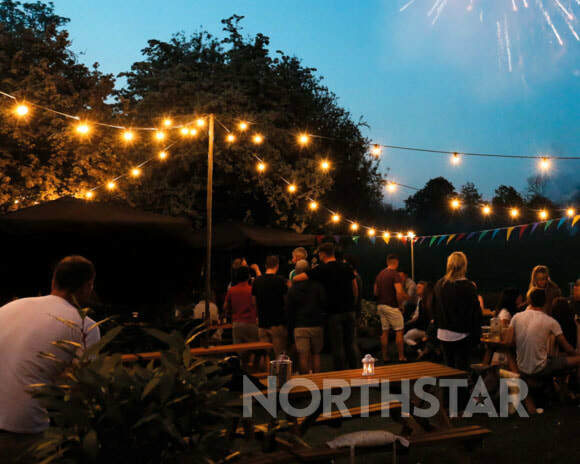 Festoon lighting gives off lovely warm and well distributed light at your venue. Suitable for use both indoors and outdoors the bulbs stay cool to the touch so they can be used alongside paper lanterns, bunting and fabrics. Create a beautiful overhead canopy indoors or hang from trees or buildings to add ambience to outdoor areas. 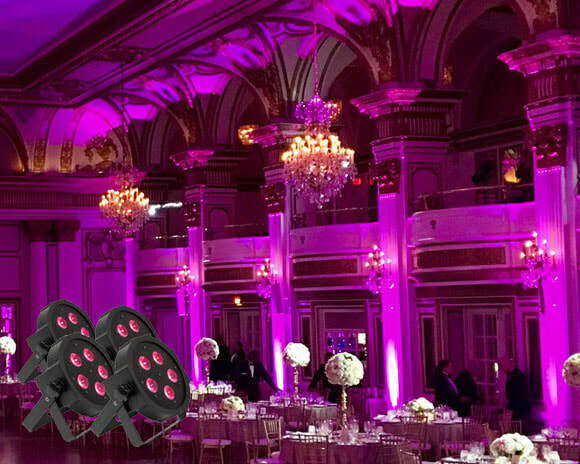 Add rich colour and ambience to your venue with our ultra bright LED up lighters. ​The lights can be set to the colour of your choice to match your theme. They can also be set to fade and change colour or to respond to your music for dancing at the evening reception. 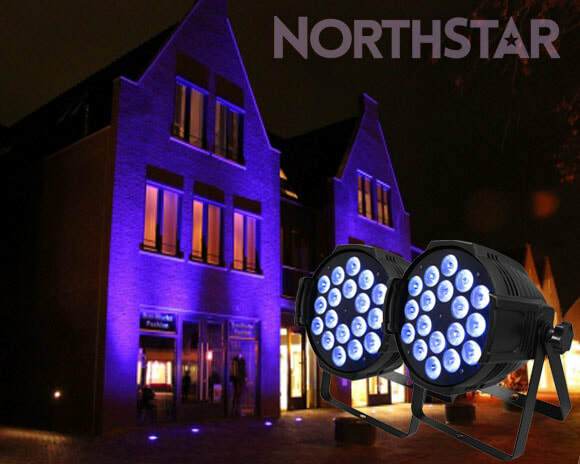 Transform the exterior of your venue with this LED exterior wash lighting pack. Featuring 2 powerful IP65 rated LED Par lights for safe use outdoors whatever the weather, this pack is perfect for providing a colour wash to buildings and gardens. ​Combine multiple packs for larger venues. A stunning complete white LED starlight backdrop package with detachable swag, pleated voile layer and heavy duty stands. Includes an easy to use controller with built in lighting patterns. Add a personal touch with a custom made message or monogram at your wedding. 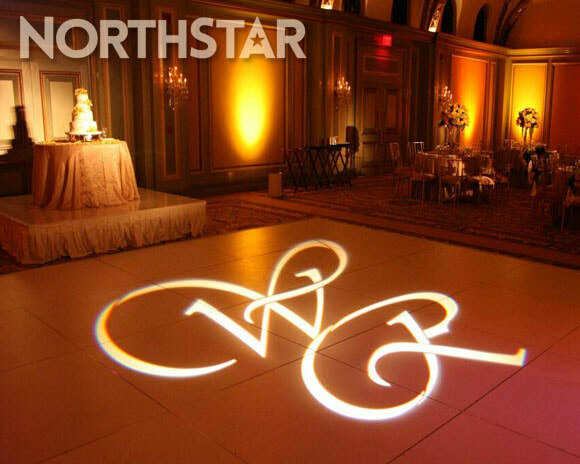 A crisp message or image is projected on to a floor, wall or ceiling at your venue. ​Choose from a choice of colours to suit your theme. 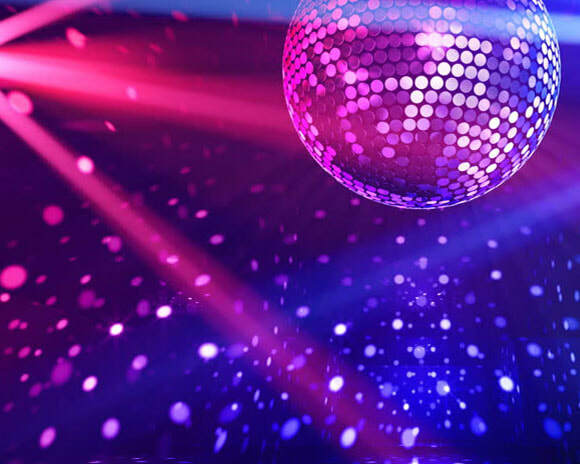 Recreate that classic elegant disco feel at your reception with this professional disco ball lighting set featuring a 40cm Mirror Ball, rotating motor and Chauvet 6 Spot LED lighting rig. 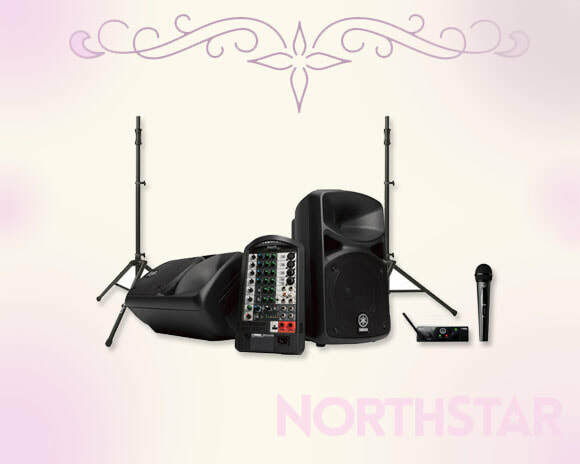 Compact PA sound system and wireless microphone package perfect for background music and speeches at your wedding reception. 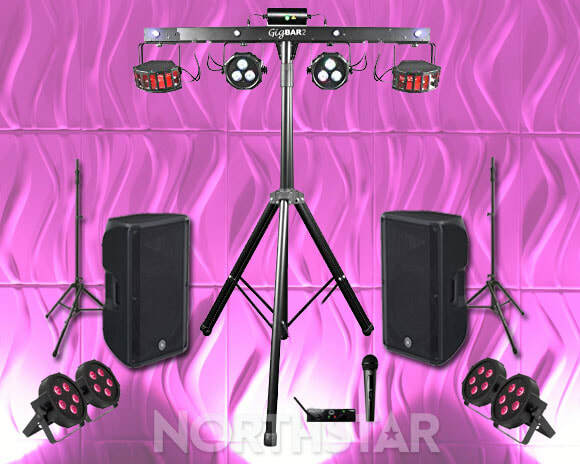 ​Suitable for small to medium venues with up to 100 people. No need for a wedding DJ with our complete sound and lighting wedding party packs that include mood and disco lighting, a high quality PA system for music playback and a wireless mic system for speeches. Easily connect portable devices to play your own playlists. 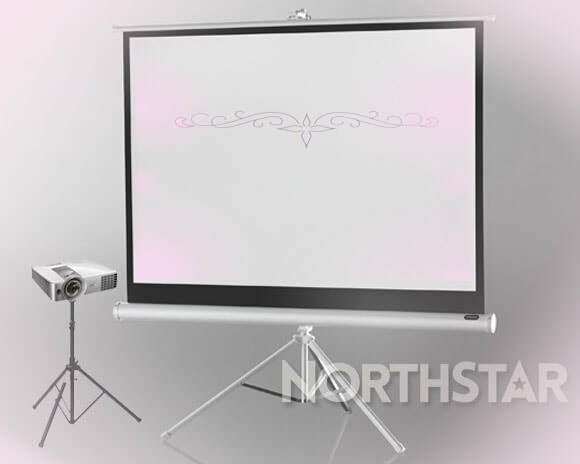 We have a great range of projection equipment and screens that are perfect for showing images and videos at your wedding. Also popular for for use in those all important speeches!